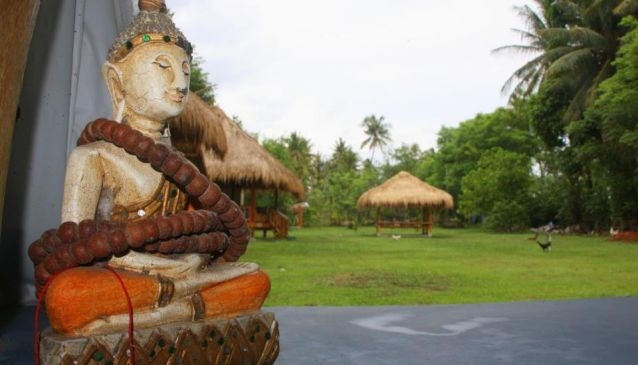 Situated on the exotic and tranquil island of Gili Air, the H2O Yoga and Meditation Centre sits as an idyllic island retreat spot. After the founder discovered the island in 2009, he decided it was the ideal location to set up his centre, with such tranquil settings and no car pollution. Just 300 metres from the beach front, the centre is nestled amongst the local lifestyle and nature. The centre offers the opportunity to seek balance within the body and mind, combining yoga, meditation and snorkelling options to see the flawless nature Gili Air has to show. Yoga classes are on twice a day, as well as introductory meditation sessions, workshops and the option to learn to teach yoga. The centre hosts Yoga Alliance Certified Teacher Training sessions as well as yoga and meditation retreats. Beginners are welcome and the centre is suitable for travellers and yogis alike. The centre is committed to maintaining a sacred space, allowing people to revitalise and gain clarity.